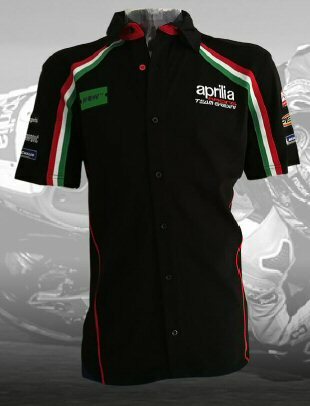 This official Aprilia product is the exact same Pit Shirt as worn by Aprilia's factory team during all practice, qualifying, and race day activities during the 2018 Moto GP season. Made from Medium weight 100% cotton full button-up front, with numerous screen printed sponsor and team logos. Sized in USA proportions. Order your normal size.